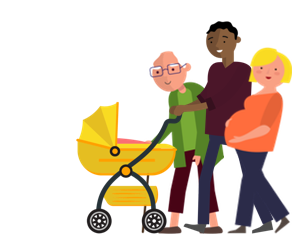 Find out more about Nottingham and Nottinghamshire Health and Care sustainability and transformation partnership (STP) including details of its population size, constituent organisations and priorities. This partnership is developing into an integrated care system. Organising care around individuals and populations – not organisations – and delivering the right type of care based on people’s needs. Helping people remain independent through prevention programmes and offering proactive rather than reactive care, which will also reduce avoidable demand for health and care services. Supporting and providing care for people at home and in the community as much as possible, and ensuring that hospital, care home beds, and supported housing, are available for people who need them. Working in multi-disciplinary teams across organisational boundaries to delivering integrated care as simply and effectively as possible. Minimising inappropriate variations in access, quality, and cost, and delivering care and support as efficiently as possible so that the proportion of the budget spent on improving health and wellbeing can be maximised. Maximising the social value that health and social care can add to local communities. The following organisations are part of Nottingham and Nottinghamshire Health and Care STP. For individual contact details for these organisations, please see the NHS website.